Free pop music quiz questions are a great way to have fun with friends or to just kill some time (or avoid doing some work)! 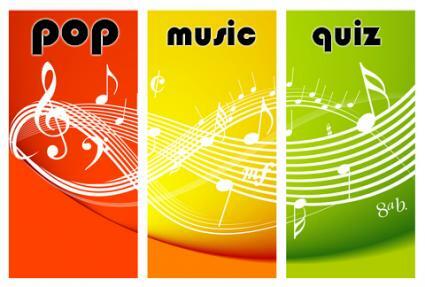 Try your hand on the LoveToKnow free pop music quiz questions listed below. First up is our list of questions. Be sure to take note of your answers! At the bottom of the page, you'll find the answers. No peeking! Ready for your free pop quiz questions? Let's get started! The questions in this round are general music trivia questions and get progressively harder. Here's a hint: most of the answers can be found on the LTK Music site! Gwen Stefani has recently announced plans to reunite with her first band. What is the name of this band? Rihanna was the subject of a lot of press attention after a physical altercation with her then boyfriend, fellow pop star Chris Brown. Brown is well known for an ad campaign for a certain brand of chewing gum. What is the name of the gum brand? Rapper T.I. hosted an MTV reality show called Road to Redemption in the run-up to facing his own prison sentence for a weapons charge. How long was his jail sentence? What is the name of the first major label album by Nine Inch Nails? Joy Division remains one of the most beloved bands around, even though their career was very short and ended almost 30 years ago with the suicide of their lead singer. What was the name of this singer? Bonus Question: After the death of their singer, Joy Division reformed under a new name. What is the name of that group? In this round, you'll see a list of album titles. You need to come up with the name of the musician who released that record. In this round, you'll see a description, and you have to come up with the musician in question. These are a little tough - they'll separate the music trivia amateurs from the pros! I turned down millions from the Chrysler Corporation in the 1980s. They wanted to use one of my songs in a commercial for one of their cars. The song in question was widely misunderstood - most people thought it was a patriotic anthem, but it was really a protest song. Years later, I re-recorded the song so that the vocals were clearer and people would understand the message. We practically invented the rock and roll lifestyle and are as famous for our 1970s exploits as we are for our blues inspired rock. We are the band at the center of the legendary groupie/shark story. I started out as a battle rapper and made the leap to mainstream radio thanks to a hand up from a former N.W.A. member. I am most known for my music these days, but I actually did not want to be a musician. My first goal was to be an actor, and you first got to know me through my recurring roles on sitcoms in the late 70s and early 80s. You know me for my so called "blue eyed soul" music, but you know my dad from TV shows like Growing Pains and Win, Lose or Draw. Bonus Question: We are a Grammy winning band, but Joe Satriani claims we stole one of his riffs for a hit song of ours. OK, time to see how you did!